Ah, Christmas, a time of laughter and love, family and friends, shopping and decorating, parties and gatherings, gifts and pleasantries are exchanged amongst people, the whole world over, in various forms of celebration. Sure pleasantries are exchanged in every aspect except the shopping part, people get crazy, and available inventory doesn’t match sales offers or consumer demand, which makes people act even crazier. Christmas, the retail nightmare and warehousing horrors, so much for visions of sugarplums! Welcome, Mr. Grinch!! Bahumbug! There are multiple crazy sales events like Black Friday and Cyber Monday, the things businesses bank on to make the year “successful,” as buyers shop for the best deals, often in a panic or during a frenzied rush to beat the clock at the last minute. Sure these sales are great for the business bottom line, they can often impact year-end bonus amounts, salary increases, and fund other advancements to make employee’s daily roles easier or more effective, but at what cost? I myself have been the consumer, like all of you. 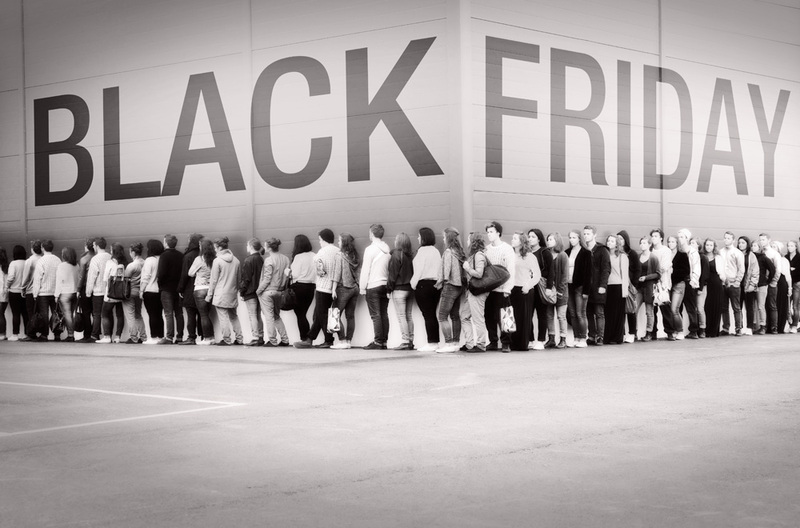 The lines are long, the stock is short, the deals are almost too dangerous to attempt shopping for anymore, and even escaping the shopping trip on Black Friday unscathed is iffy at best. How does all this affect company or corporate employees? The people that generally feel under acknowledged, and underpaid on a typical day, suddenly dealing with the added pressure from management to do better, faster, and with a smile, all while being trampled to death by wild-eyed, sale-crazed Christmas shoppers. Now that I’ve asked the question, allow me to provide some of my own experience both in the retail chain sector as well as the warehousing sector of a locally established multi-million dollar e-tailer. Retail chains like Walmart, Target, Toys R Us, Family Dollar, Dollar General and the like are nightmares at this joyous time of year. While being generally hurried in their daily tasks of stocking shelves, manning the cash registers, restocking unpurchased or misplaced products, price changes, and processing new logistics layouts, the holiday season increases disturbances to these processes exponentially. And even though additional holiday staff is generally hired, it’s rarely enough to adequately accomplish everything required on a daily basis. Add to that, larger volumes of sales and customers shopping simultaneously, and you’re pretty much being asked to transform into a superhero. Minus the perks of a cool new costume (including cape & mask) or notoriety. There’s no pay increase during this major shopping time, there’s no immediate recognition, there’s also no way you’re getting a vacation during this peak consumer spending period either. There is however, more demand, more yelling, more pushing and shoving, more fighting and altercations amongst customers, higher tension between employers and employees, higher rates of employee dissatisfaction, and greater chances of experiencing a traumatizing life event every year. And the reward is keeping your job post-season, rather than being replaced by a newly hired, seasonal worker! Moving on, which is what I did from the retail nightmare in real life as I graduated into a Warehouse Management position. Mind you, I came into this opportunity during the infant through toddler years of a start-up e-tailer, who at the time of my departure was a multi-million dollar company experiencing consistently rapid growth, both then and now. As a Warehouse Manager, I was already wearing as many hats as my little head could hold. They ranged in size and color based on duties that stemmed from product management to location placement, inventory control to ordering, shipping and receiving to returns and exchanges, product imaging and description writing to marketing and advertising, and all things internet marketplace related to Amazon, Ebay, and our own company website and ordering systems management. No, there were never enough hours in a day, ever! Now, fast forward to holiday buying season, November through December, being the peak sales months for e-tailers who on average double, triple, and even quadruple their sales for the rest of the year during these two months. The employees are better paid, the hours are rather similar to retailers, there is limited customer interaction from the warehouse staff themselves (if any), and the stresses are reduced significantly when you’re on the strictly supply aspect of the holiday. The hustle and bustle of everyday work sees a dramatic increase, but thanks to heavy machinery and fewer outside disturbances, the processes is virtually the same, just at a faster pace, with more scheduled deliveries and shipments. Everything already sounds better, right? Well, honestly it is, you still won’t get any time off during the peak period, but you can bet your sweet tookus that you’ll be acknowledged before, during, and after the holiday buying season, not just by keeping your job either! On the flip side, there is more at stake this time of year for e-tailiers. Everything online is based on ratings, reviews, buyer feedback, and the bottom line in terms of financial statements. If you utilize Amazon or Ebay type marketplaces, you must be sure your product descriptions are on-point, you can be held liable for damages or misrepresentations on items purchased. This in turn reflects negatively on your marketplace rating, since you’re not bound to receive a superior rating if your customers are receiving items that don’t match the product descriptions on your Amazon or Ebay Store, or your personal company website. If you are working for a reputable company, this will just be part of daily listing duties for the office staff and will promote happy and healthy relationships with clients, eliminating extra work for warehouse workers. The benefit is spread company wide from the start, and is generally better handled at this level than it is once it trickles down to the retail market. What Makes A Product Stand Out?